Bringing an animated video game to life is no small order. 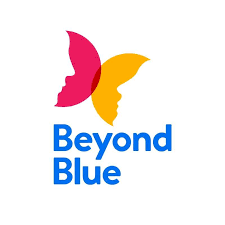 The Beyond Blue development team took several steps to create life-like imagery for its educational adventure in the ocean. From making creatures to developing the scenery, this video game is as close as you can get to the real thing without taking a dip into the sea. An artist takes the reference to further develop the character, and they establish the design scale and shape. Now, it’s time to start adding details. Using geometry, artists add texture to the creature models. Animators begin to reference the natural motion of the real-life creature. Viewing videos and researching other information gives the animator important details about the anatomy of the sea animal and allows for accurate placement of pivots or points where the model may bend while moving through the water. After pivot placement, a blocking process creates a path that the creature will follow in the scene. An animator adds the character’s gravity center and speed. After animating the fin, tail, and mouth, animators give the character to the engineering team for incorporation into the game. Building the sea’s floor and surroundings is a similar process. Developers begin with reference research. They create a 3-D model. Seeking a natural look, artists add textures and patterns to bring the sea world to life. Once the artists create the environment, the models are added to populate it. By adding customized shading, animators ensure that everything within the game moves in concert with the ebb and flow of the ocean.